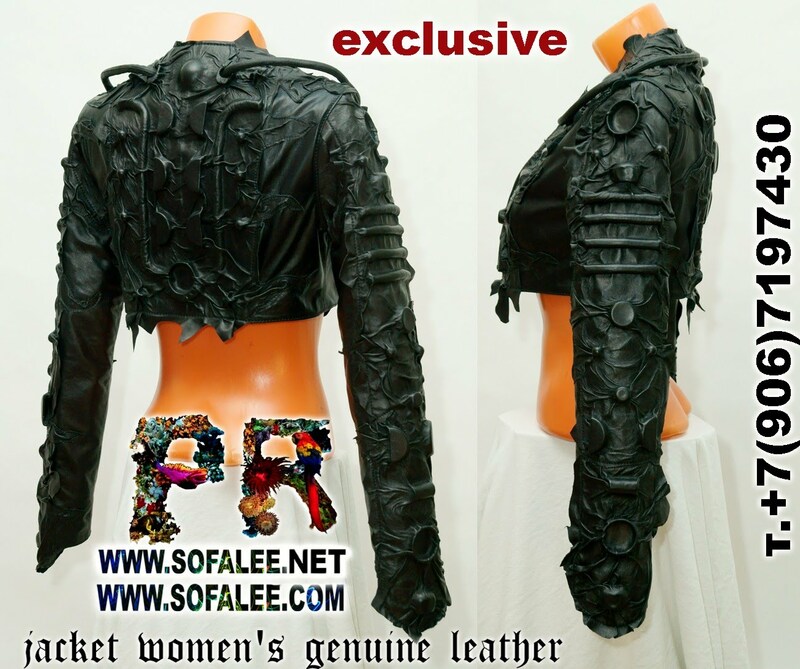 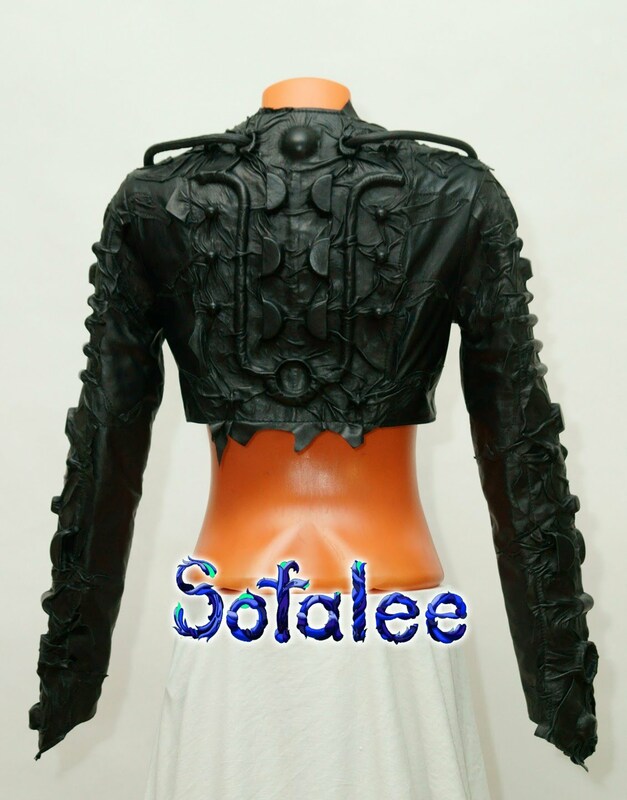 №219 Leather bolero female black with long sleeves only in genuine leather exclusive handmade by Sofalee! 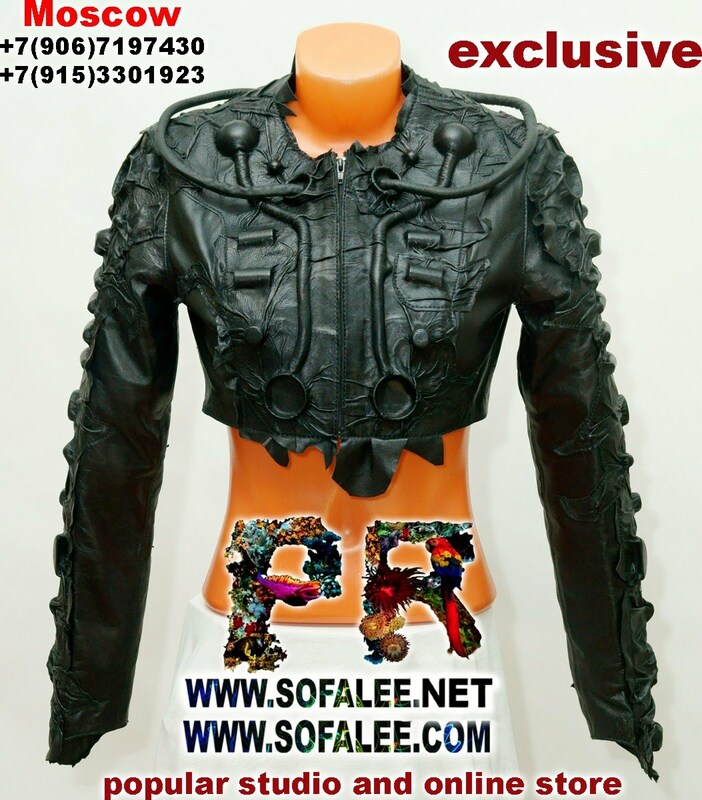 Stylish women's bolero long sleeves. 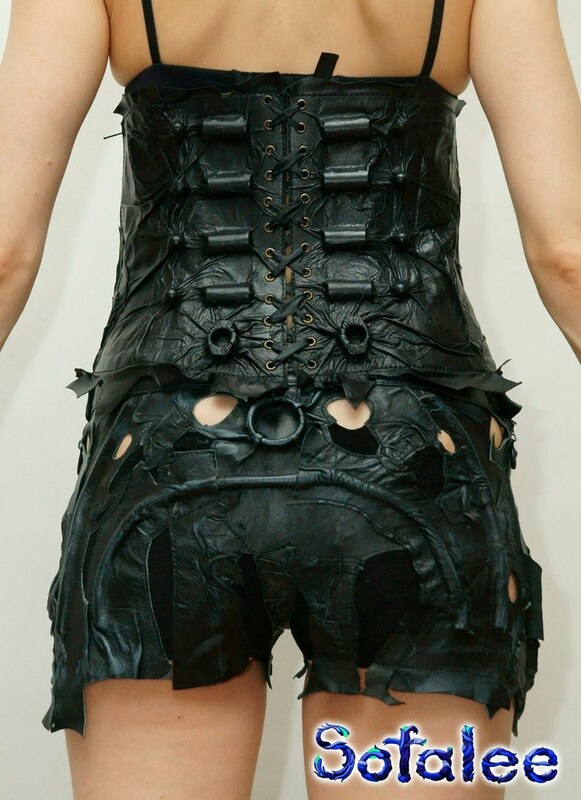 Болеро женское из натуральной кожи с объемными деталями.